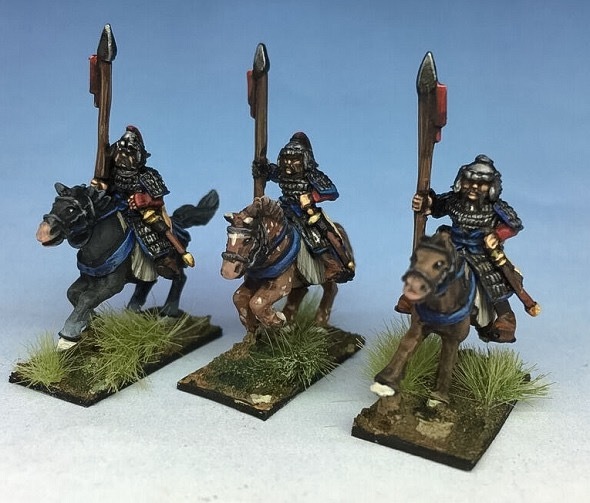 We've just added four more codes for the 15mm Sung Chinese, a Medieval Chinese dynasty (which resisted the Khitans and Jurchen but fell to the Mongols after an epic struggle). 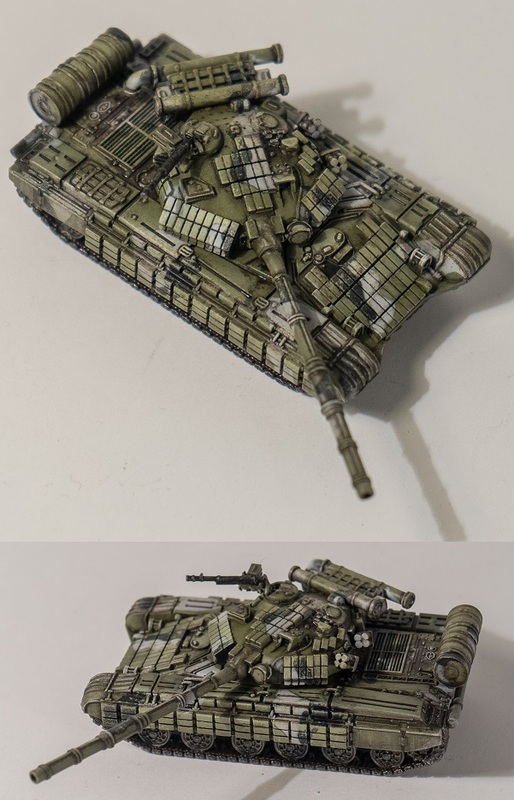 We are pleased to release our latest 15mm sci fi armoured fighting vehicle, the Seydlitz tracked tank. This vehicle has the same hull as the more advanced Samson tank, but is armed with a conventional CPR cannon mounted in a different turret, and lacks the gatling gun of the Samson. Wow! 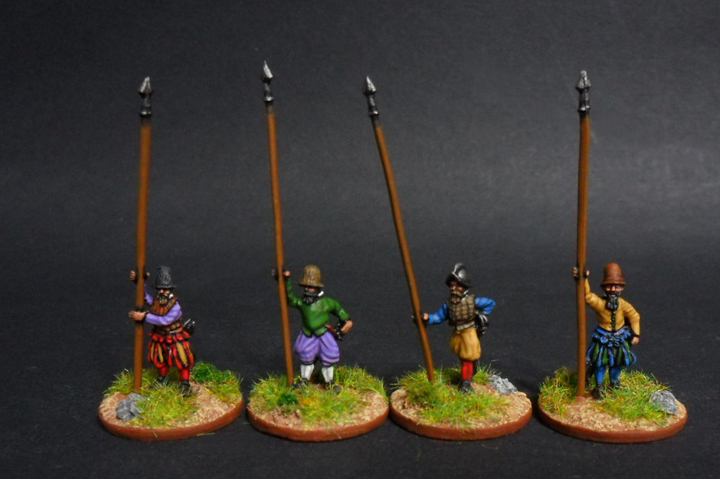 Those could easily pass for 28mm, astounding! 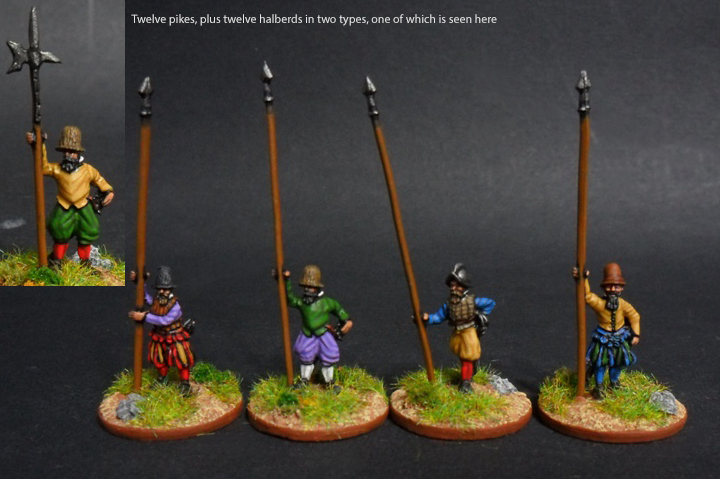 I can't believe those are 15mm ! You have an artist with some serious skill (and eyesight! ), beautiful job on those. 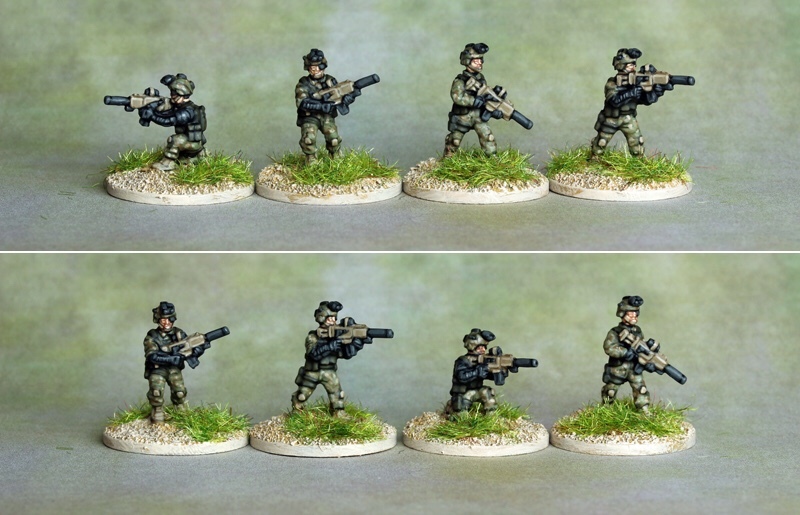 We are very pleased to release three new sets for our 15mm modern Middle Eastern warfare range, a set for Syrian Government Forces, one for Hezbollah, and one that can be used for either of the two (or that third set can be used as Chechens as well, as they are wearing fatigue hats or wool caps). 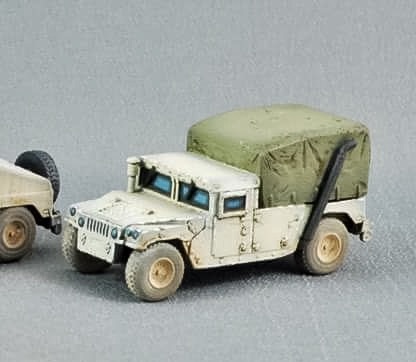 We have just released the latest model in our 15mm modern US Army range, the M1152 uparmoured HMMWV with canvas cover and extended exhaust pipe. This truck serves as a cargo or troop carrier. Available now. 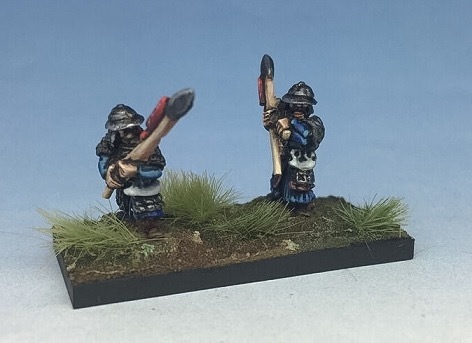 We are very pleased to release a 15mm range for the Gasgans, picturesquely horrid savages who constantly raided the Hittite Empire and may have contributed to the downfall of that great civilisation. 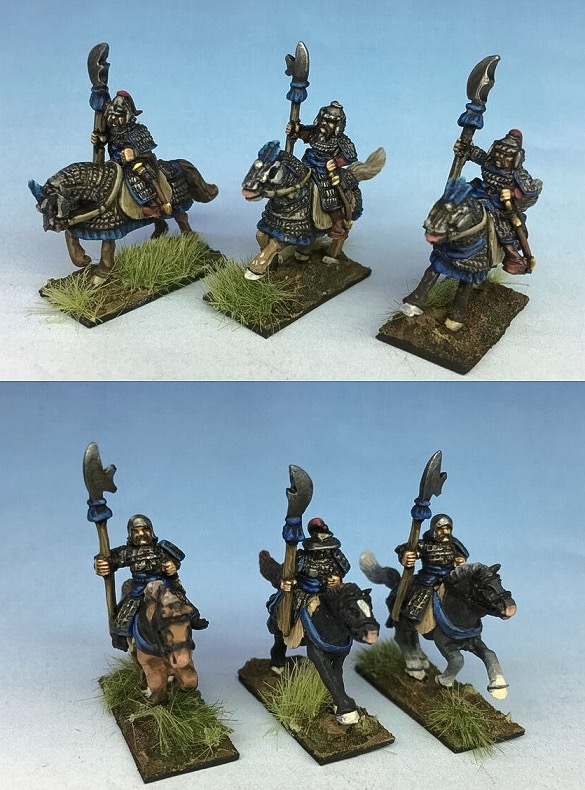 Also known as the Kaska people or the Kaskians, they were Anatolian highlanders who were able to muster 9,000 men or more, as well as chariots, for their wars on the Hittites and anyone else who got in their way. 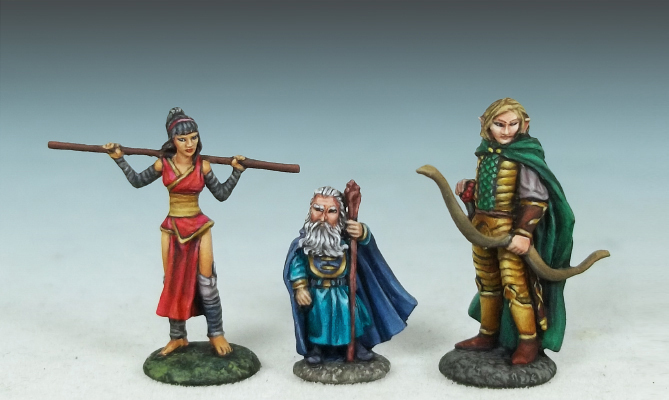 The range includes warbands, archers, slingers, and a chariot set that gives the gamer the option to build noble chariots or commander's chariots, and includes a Gasgan witch wearing an Anatolian Viper! 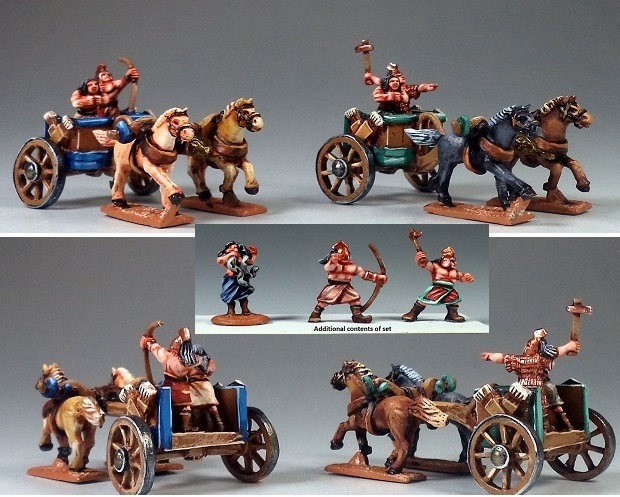 There's also a warband with two chariots and over one hundred infantry available at a discount. 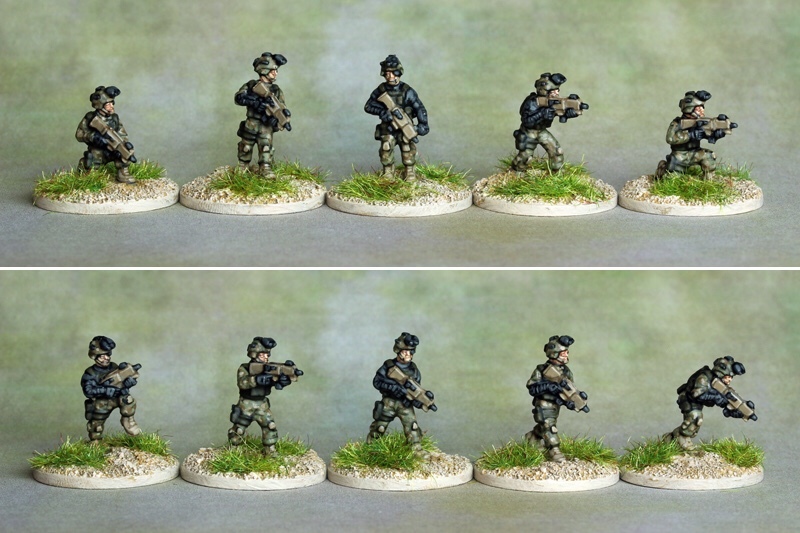 We are very pleased to release the main infantry codes for the first faction in our NF sci fi range, the Oceanic Republic. 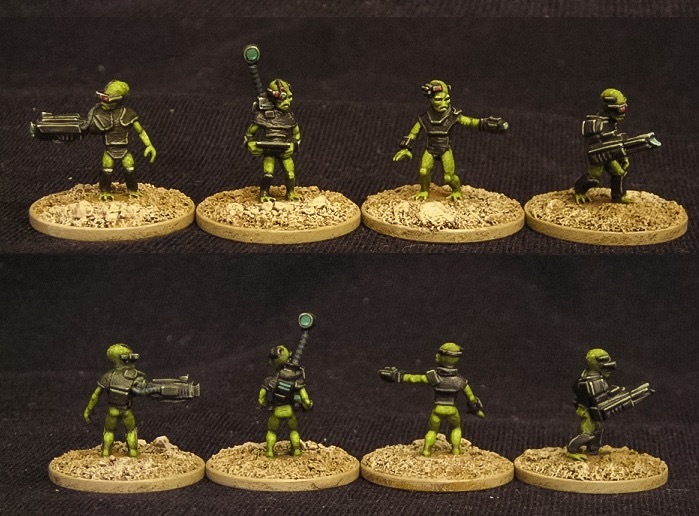 There are two codes, infantry with rifles and specialists with energy weapons. 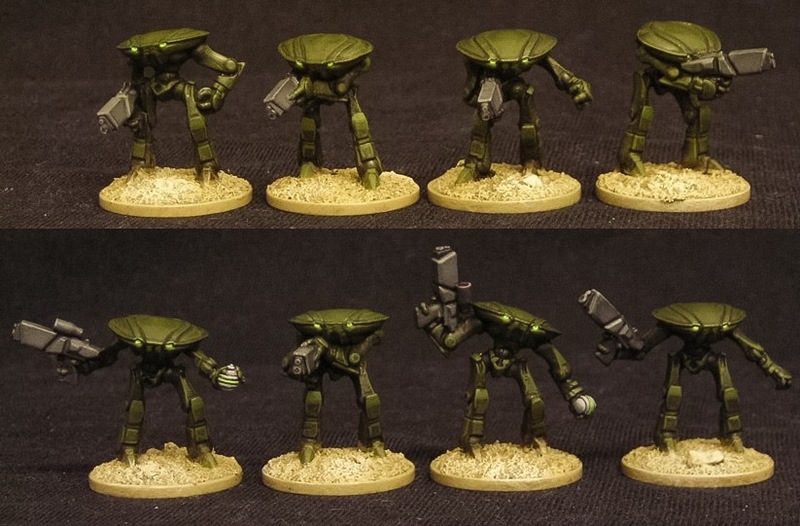 The second faction, the Eastasian Combine, is being sculpted now. Every time a terrorist dies a Paratrooper gets his wings. Those look awesome. There's a slight problem though. They're not accessible from the main webshop page. Same with the 22nd Century Chinese. Without direct links to them, there's no way to find them on the website. 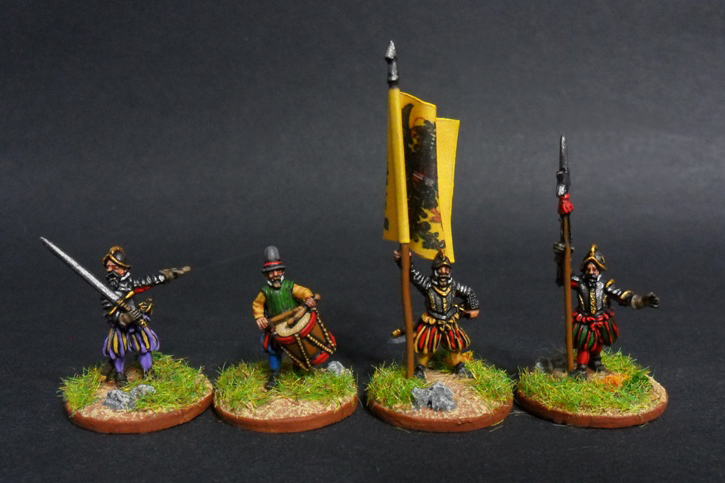 The term "Landsknecht"continued to be used for German infantry until at least the 1590s, although by this period they might just be called "Germans" or "Fussknechts." 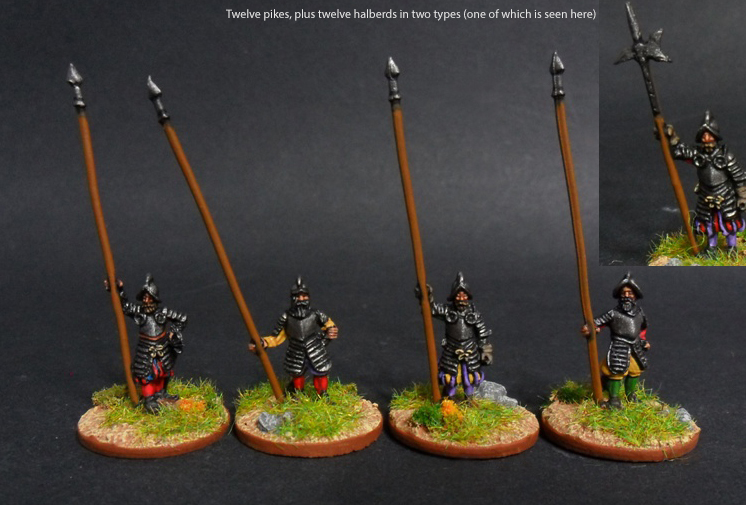 Landsknechts and other German mercenaries seemed to be on virtually every European battlefield of the late 16th century, from France to Muscovy, from Scandinavia to the Balkans. Note that by this period German infantry were gradually replacing the Pluderhosen with billowy trousers without the vents, but both continued to be widely worn, side by side -- actually in the same infantry units -- as period art clearly shows. The near future stuff is still inaccessible from the main site. There's no subsection listed, and no listings under 15mm Sci-fi or the Generic 15mm Sci-fi section. They're still only accessible through direct links. Might want to fix that, otherwise that stuff will never sell. 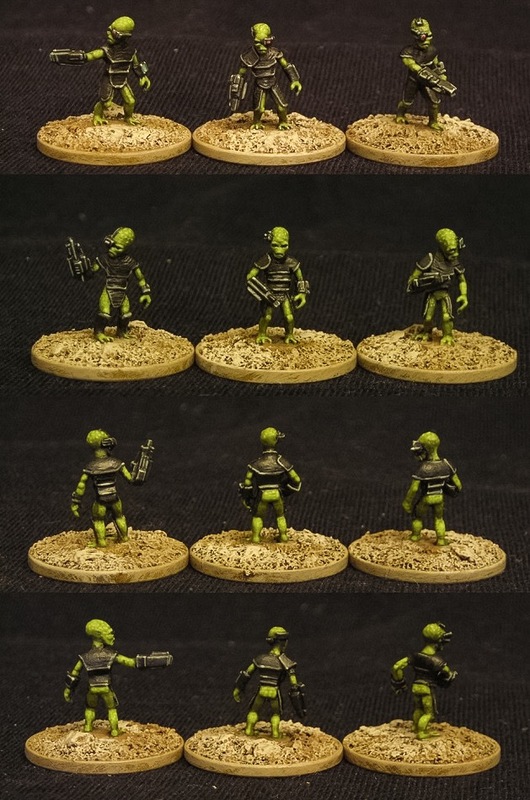 We are very pleased to release our latest line of 15mm Sci Fi models, the modern alien invasion range. 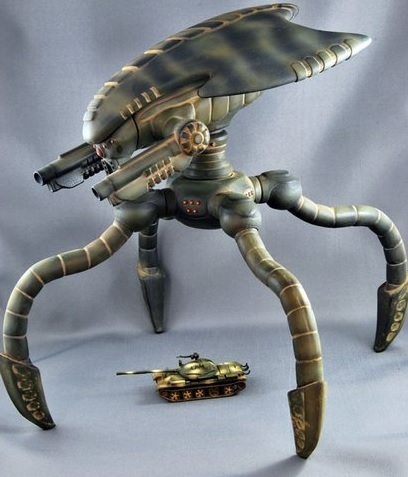 Available are the Science Caste, the War Caste, the war robots of the War Caste, and the colossal four legged alien war machine, the city-killing Maneuver Element. 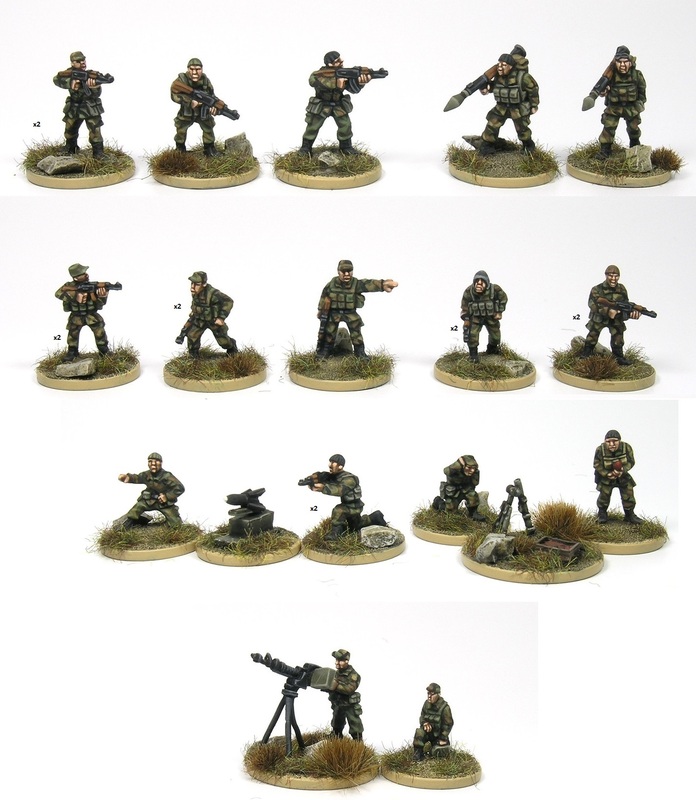 We believe that, with the possible exception of a model Ratte released in 15mm scale, and of course some terrain pieces. 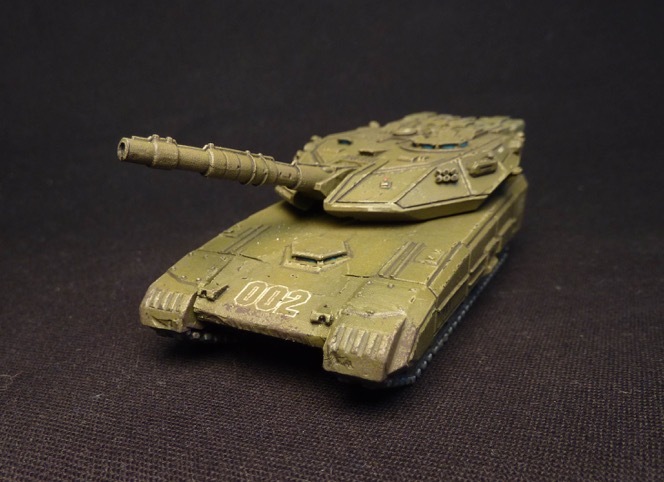 the Maneuver Element is the largest 15mm model released for tabletop play as a unit. It can be purchased with a variety of leg poses. It's past that point, Jake -- someobody gettin his molecular structure rearranged! The set is a US army infantrymen kneeling down next to an Alien Terp in helmet and flak jacket. The aliens help the humans develop new tech as well, so I may do modern US Army troops with sci-fi weapons, maybe some add-on parts for my vehicle kits too. That war machine is huge! No, not the doctor from the TV show, an actual house! This is an American-style two story house with an attached garage, and a front and rear entrance. It's been made for modern disaster or combat gaming. It's a two part sold resin casting (and this quite heavy). Omg! THAT is exactly what I've been needing! Ooh, I hope you do more. I especially hope that you are eventually able to make ones with interiors. 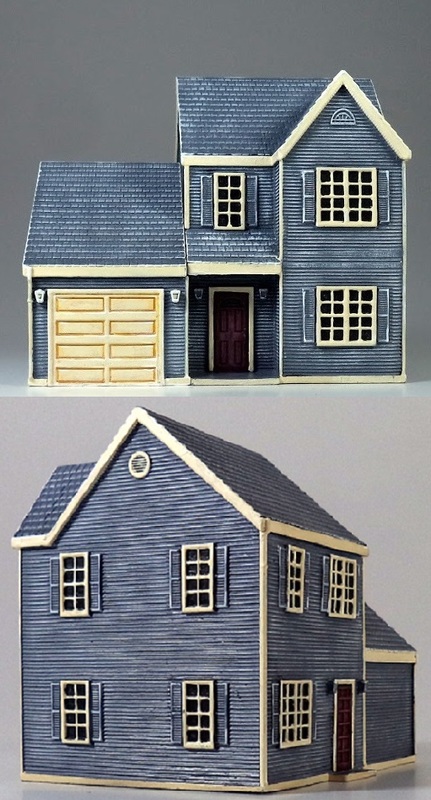 Too bad I have as much drive to paint miniature houses as I do my own! 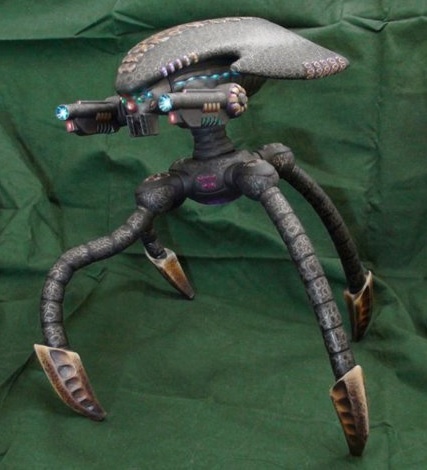 Oh man that huge alien is amazing. Love it! 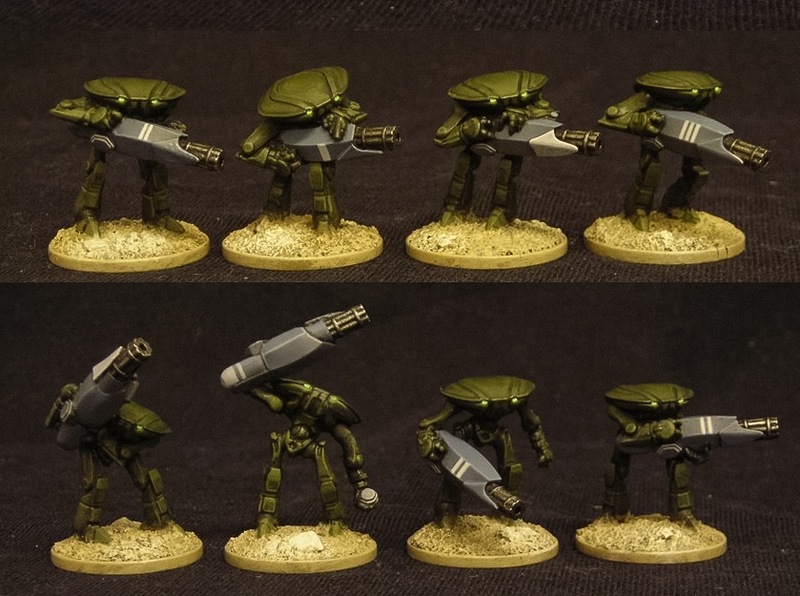 Those aliens look pretty cool, nice paintjob too. 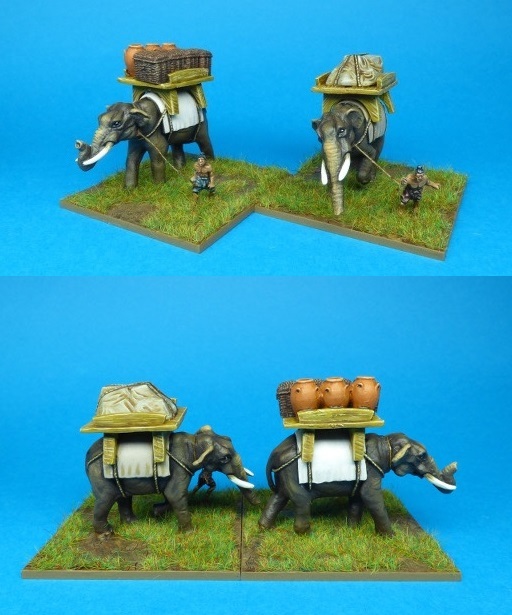 Just a quick note that we've just added a set of baggage elephants to our Siamese range. 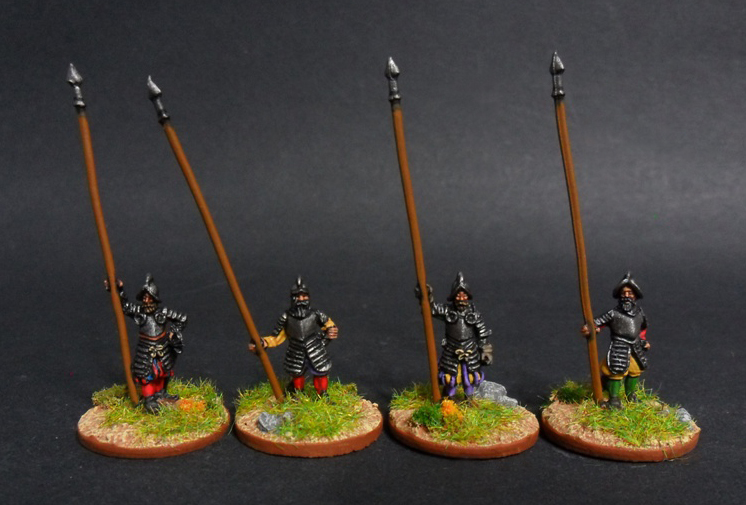 They're suitable for Southeast Asian armies throughout the ancient and medieval periods, and probably well beyond that as well. 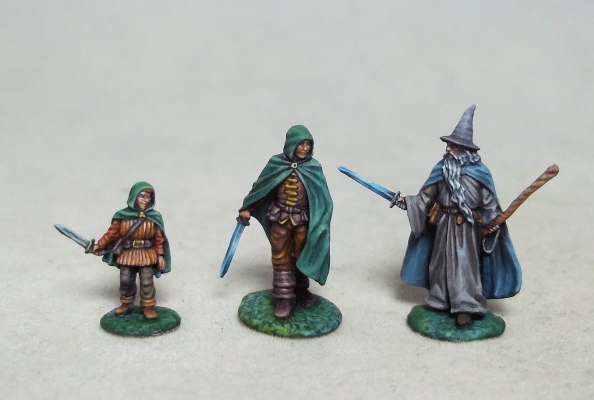 The model is mostly resin, with pewter details, and the crew are pewter. 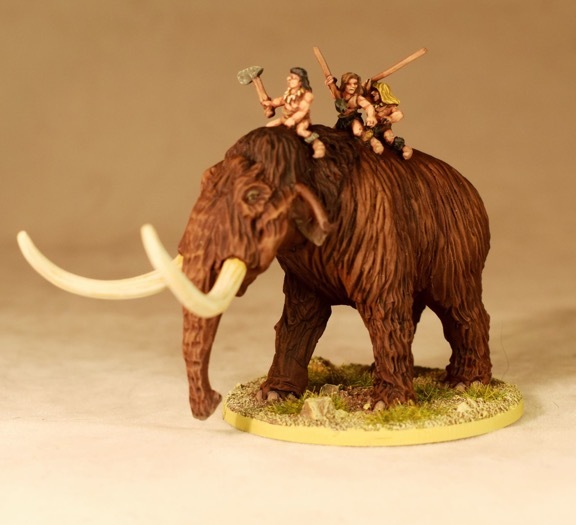 Available now -- more caveman releases are coming shortly.